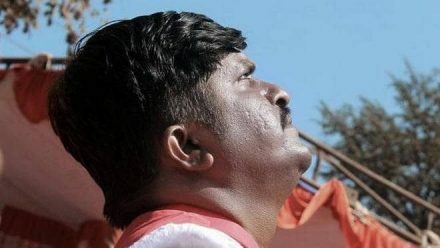 Pradeep Sasane of Belagavi achieved a rare feat of looking at the Sun directly for 10 minutes, without glasses or any other equipment during the day. He was awarded an entry in the World Book of Records. His claim was verified by Bharat Sharma, a member of the Union Ministry of Culture. Mr. Sasane began looking at the Sun from a podium prepared at Lele Grounds in the morning. He said that he was happy to receive a citation from the World Book of Records. He said that he had been practising for it for years. Mayor Basappa Chikkaladinni and others were present.